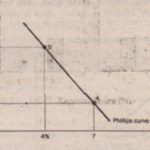 The model of aggregate demand and aggregate supply provides an easy explanation for the menu of possible outcomes described by the Phillips curve. 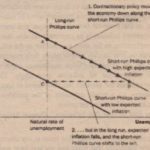 The Phillips curve simply shows the combinations of inflation and unemployment that arise in the short run as shifts in the aggregate-demand curve move the economy along the short-run aggregate-supply curve. As we saw in the preceding two chapters, an increase In the aggregate demand for goods and services leads, m the short run, to a larger output of goods and services and a higher price level. Larger output means greater employment and, thus, a lower rate of unemployment. In addition, whatever the previous year’s price level happened to be, the higher the price level in the current year, the higher the rate of inflation. Thus, shifts in aggregate demand push inflation unemployment in opposite directions in the short run-a relationship illustrated by the Phillips curve. To see more fully how this works, let’s consider an example. To keep the numbers simple, imagine that price level (as measured, for instance, by the consumer price index) equals 100 in the year 2010. Figure 2 shows two possible outcomes that might occur in the year 2011 depending of the strength of aggregate demand. One outcome occurs if aggregate demand is high, and the other occurs if aggregate demand is low. Panel (a) shows these two outcomes using the model of aggregate demand and aggregate supply. Panel (b) illustrates the same two outcomes using the Phillips curve. 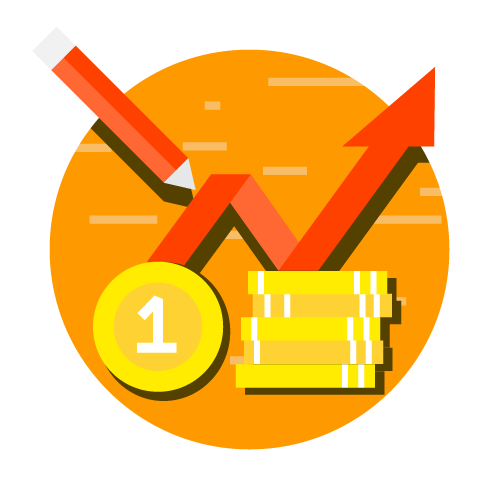 This figure assumes a price level of 100 for the year 2010 and’ charts possible outcomes for the year 201l. Panel (a) shows the model of. aggregate demand and aggregate supply. If aggregate demand is low, the economy is at point A; output is low (7,500), and the price level is low (102). If aggregate demand is high, the economy is at point B; output is high (8,000), and the price level is high (106). Panel (b) shows the implications for the Phillips curve. Point A, which arises when aggregate demand is low. h as high employment (7 percent) and 10″” inflation (2 percent). Point B, which arises when aggregate demand is high. has low unemployment (4 percent) and high inflation (6 percent. Panel (a) of the figure shows what happens to output and the pence level m the year 201 L If the aggregate demand for goods and services is low, the economy experiences outcome A The economy produces output of 7,500, and the price level IS 102. B)’ contrast If aggregate demand is high, the economy experiences outcome B. Output is 8,000, and the once level IS 106. This IS Just an example of a familiar conclusion: Higher aggregate demand moves the economy an equilibrium with higher output and a higher price level. Panel (b) shows what these two possible outcomes mean unemployment and melanoma. Because firms need more workers when they produce a greater output of goods and services, unemployment is lower in outcome B ‘than in outcome A In this example, when output from 7,500 to 8,00n, unemployment falls from 7 percent to 4 percent Moreover, because the pnce level is higher at outcome B than at outcome A, the inflation rate (the percentage change m the pnce level from the previous year) is also higher. In particular, since the price level was 100 in the year 2010, outcome A has an inflation rate of 2 percent, and outcome B has an inflation rate of 6 percent The two possible outcomes for the economy can be compared either in terms of output and the pnce level (smug the model of aggregate demand and aggregate supply) or in terms of unemployment and inflation (using the Phillips curve). Because monetary and fiscal policy can shift the aggregate-demand curve, they can move an economy along the Phillips curve. Increases in the money supply, increases in government spending, or cuts in taxes expand aggregate demand and move the economy to a point on the Phillips curve with lower unemployment and higher inflation. Decreases in the money supply, cuts in government spending, or increases in taxes contract aggregate demand and move the economy to a point on the Phillips curve with lower inflation and higher unemployment. In this sense. 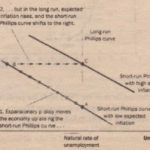 the Phillip curve offers policymakers a menu of combinations of inflation and unemployment.